Maitland Street Rodders Inc. has over the years enjoyed success on many levels. It has in the past held many successful weekend rod runs and still organises the annual Steamfest Show and Shine. The present members try and support all of the other clubs in the region by attending their events. In recent years we have managed to win best attended club on three occasions and have been close many other times. The best thing about being a member of our club is that it has brought people who have a genuine love of Hot Rods together where they have formed lifetime friendships. We are proud to support the local charity Firstchance Inc. (www.firstchance.org.au) who help young Australians with learning difficulties. During our 11 year association we have raised many thousands of dollars enabling First Chance to purchase much needed equipment for the children. Presently we have 32 members with 2 prospective member waiting the period required before they can obtain full membership. The club meets on the first Tuesday of each month at Maitland City Bowling Club which is situated in Rutherford. Anyone interested in joining Maitland Street Rodders Inc. can find out details by contacting our Secretary. 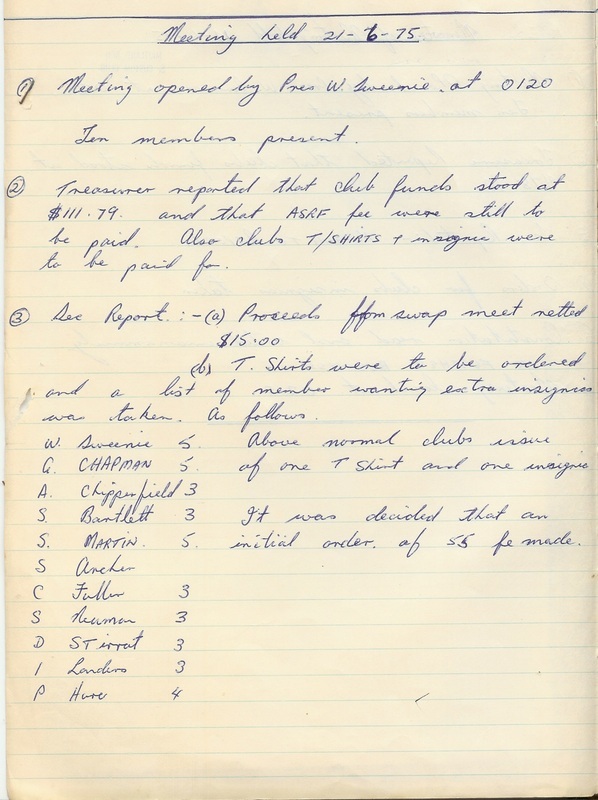 The club was originally called Maitland Rod and Custom Club and held it's first recorded meeting on the 14th June 1975 with 10 members in attendance. 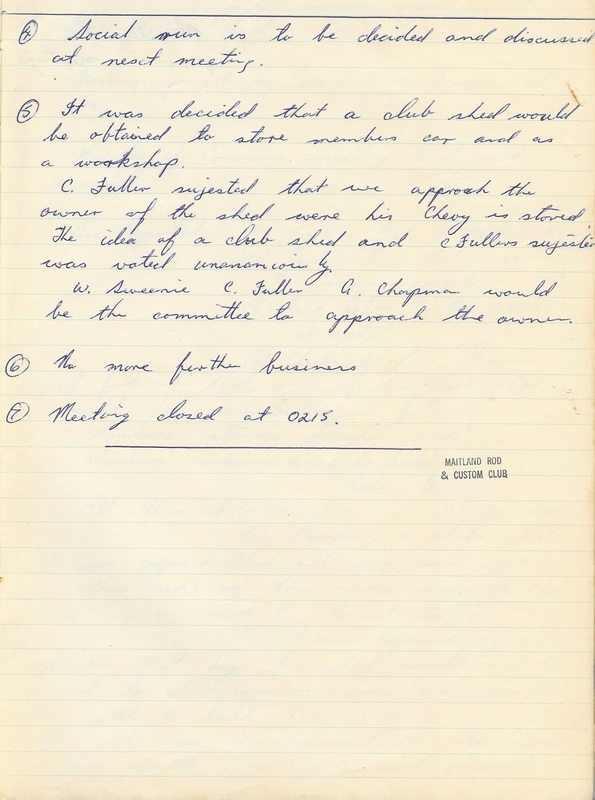 On the 22nd May 1982 the club changed it's name to Maitland Street Rodders and a new constitution was approved by the members. 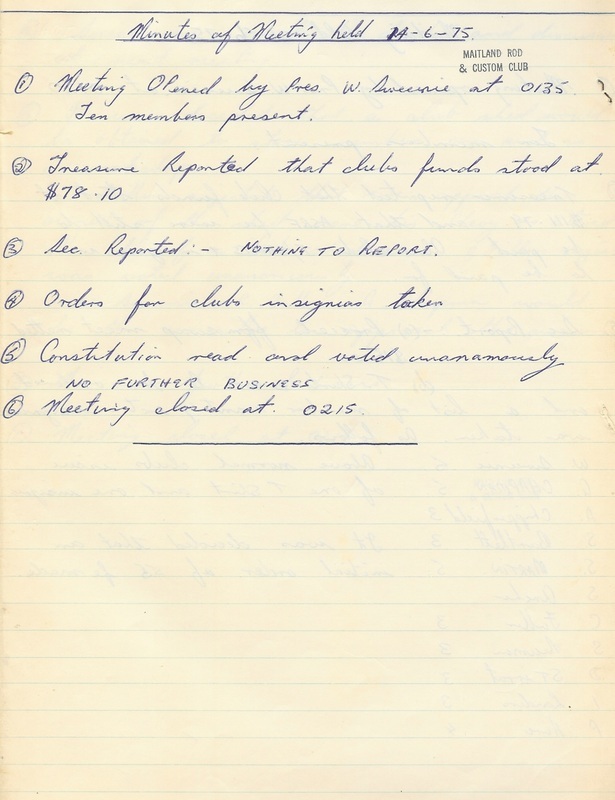 On the 27th July 1995 the club became incorporated adopting the NSW Fair Trading Model Rules as its constitution and has since been known as Maitland Street Rodders Incorporated. 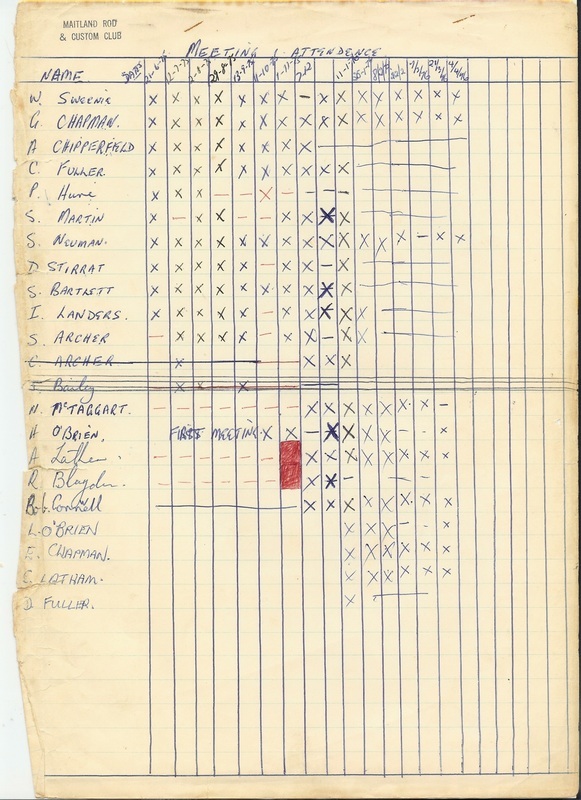 A new constitution was written and approved by the members in 2010 and on the 13th September 2010 this new constitution was approved by the NSW Fair Trading Department. Through all these changes the objectives of the club has stayed the same and that is to promote the Sport of Street Rodding with Street Rod safety, courteous driving and general road safety.